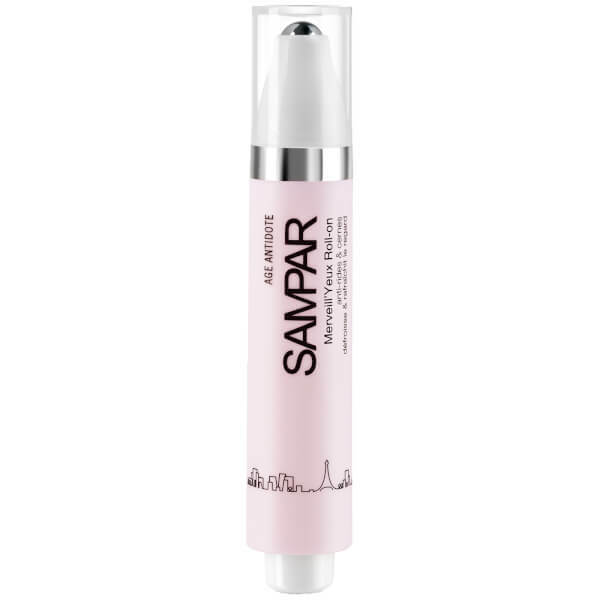 Pack up your bags with the SAMPAR Eye Rule; a powerful anti-ageing treatment that transforms the appearance of the delicate eye area, tackling the five most common factors of ageing – dermo-contractions, skin slackening, dehydration, microcirculation and urban pollution. The advanced formula contains a selection of potent regenerative actives, including the proprietary Urban Advance Complex, which combines Shea Butter Serum, Mint Endorphin and Probiotic Sugar to form an antioxidant shield that neutralises dulling free radicals and environmental impurities for firmer, re-densified skin. Age-defying Peptides stimulate cellular renewal at a deeper level, effectively minimising their depth and length for a smoother surface texture, while Adenosine works to prevent dermo-contractions that lead to expression lines. The innovative pen tip provides seamless application for an instant cooling effect, alleviating the appearance of puffiness and dullness. 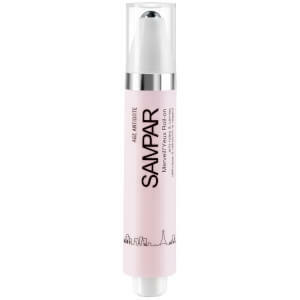 The eye contour appears brighter and replenished, with the look of wrinkles, discolouration and fatigue visibly reduced. For added freshness, store the pen in the refrigerator between applications.